Unbelievable underwater world is waiting for you! Consider yourself an adventurer? So you came to the proper place! 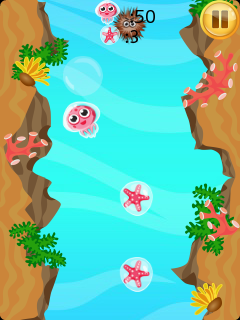 Forget all your troubles and plunge into the exciting world of deep ocean life in the Deep Sea Adventure - Jellyfish Trip. 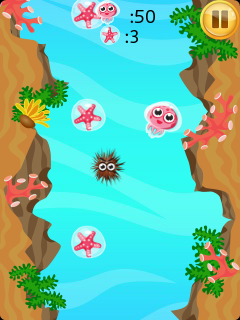 All you are supposed to do is to plunge deeper and deeper trying to avoid urchins - they may hurt you to death. Don't forget to collect the stars and get bonuses! 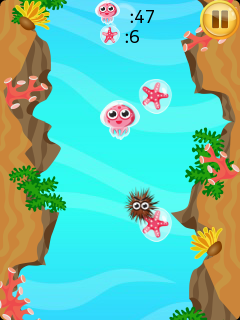 Deep Sea Adventure - Jellyfish Trip features: - explore the underwater world in this funny arcade game; - cute main character - a jellyfish travelling through the sea depths; - learn different marine animals; - amazing obstacle race in the unusual setting.